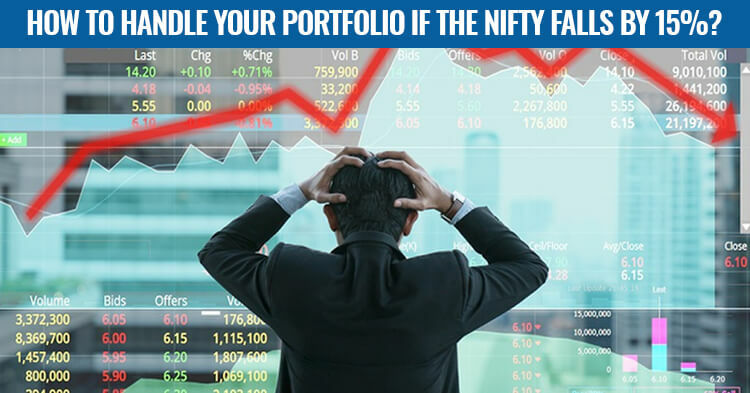 How to handle your portfolio if the Nifty falls by 15%? what you should not do. A more calibrated approach will be more meaningful. in your portfolio. Adding more or jumping out is not the answer. equities or should you park your money in a debt mutual fund or ever a liquid mutual fund. altogether. The truth, normally, lies somewhere in between. stocks that are falling less than the index. transaction cost to it but it is hardly anything compared to the taxes that you save on gains. of your SIP when markets are down so that your average cost comes down. your logic rule over your emotions. That is a recipe to handling such market corrections. the time to actually restructure your portfolio and align it with your long term goals. Promoter pledged shares: Boon or bane for investors? I am willing to open a Demat Account with Angel Broking to start investing in these top picks.